As part of Conrad Anderson’s continued dedication to supporting our customers, we have decided to produce a periodical Accessories Buyers Guide for FREE. #ConradCares We are launching this as a Facebook only offer, it’s very easy to subscribe to receive each edition as they come out. All you need to do is ‘Like’ us Facebook using our Buyers Guide App and fill in your name and email address at the prompt and we’ll take care of the rest. 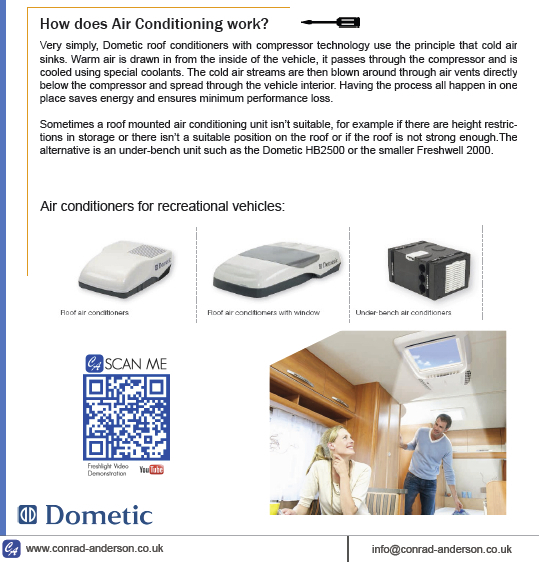 The first edition should help if you’re struggling to know which air conditioning unit to choose for your caravan or motorhome. We’d love your feedback, so if you do download the guides, it would be great it if you would let us know what you think of our new venture and whether we are on the right track. Send an email to Naomi with your point of view.